We have reviewed the footage (and gameplay), and have come up with a verdict. The review is in, and we’re here to deliver it. 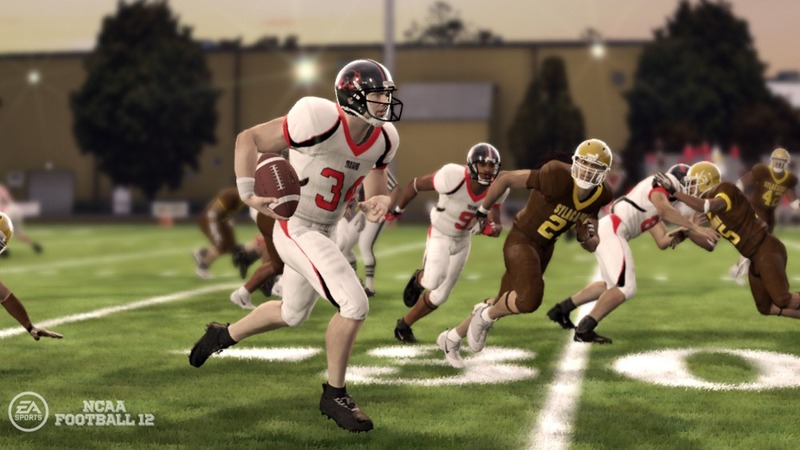 NCAA Football 12 is a very solid college football game. That much is for certain, but that’s mostly due to the fact that it’s built on another solid football game: NCAA 11. The game isn’t dramatically different on the field from it’s predecessor. Gameplay is still smooth and solid, and the controls are still very intuitive. The modes are pretty much the same from last year’s as well. The way they’re implimented has seen some improvements, though. For example, my favorite mode, Road to Glory, now sees you trying to impress colleges over your full high school senior season. While this is a neat concept, most people would just as rather skip over it and go to the part they bought the game for: playing for their favorite college program. Fortunately, with a button press you can skip single games, all games to the playoffs, or all the way to signing day. The drawback is that you lose out on both the practice you’d get from playing (including the awesome opportunity to play as an ironman, playing positions on both sides of the ball which is only possible during your high school season) as well as not earning the impression on your school of choice. If you don’t impress enough for a scholarship, you can try as a walk on but while that makes for a great underdog story it again delays you from playing for your team which, again, is why you bought the game. The online dynasties seem to work pretty well, but I have run in to a few connections issues with EA’s servers. Playing a dynasty isn’t as tedious, to me, as it was last year. However I didn’t go as in-depth last year as I should have. Visually the game is looker. The models, textures and animations are very solid and high-quality. The inclusion of HDR lighting was lost on me; I never noticed it’s use. I did notice the 3D grass and going back to games without it is hard to do. It’s a small touch that makes a huge difference. The commentary is ok but not great. I miss Lee Corso, personally. The on-field sounds are average and the stadium announcer does his job satisfactorily. 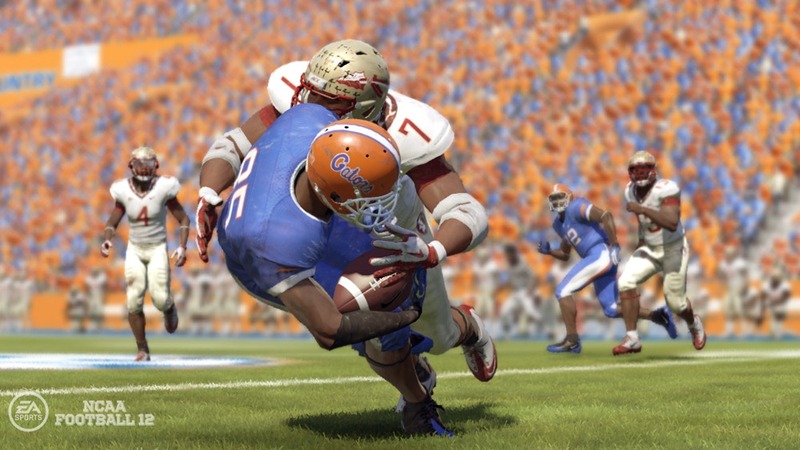 It’s easily the best 360 college football game, but in all it’s only an incrimental upgrade from last year. It really will take a new piece of hardware, I believe, for the game to change and improve beyond this point – it seems they’ve hit this console generation’s ceiling. 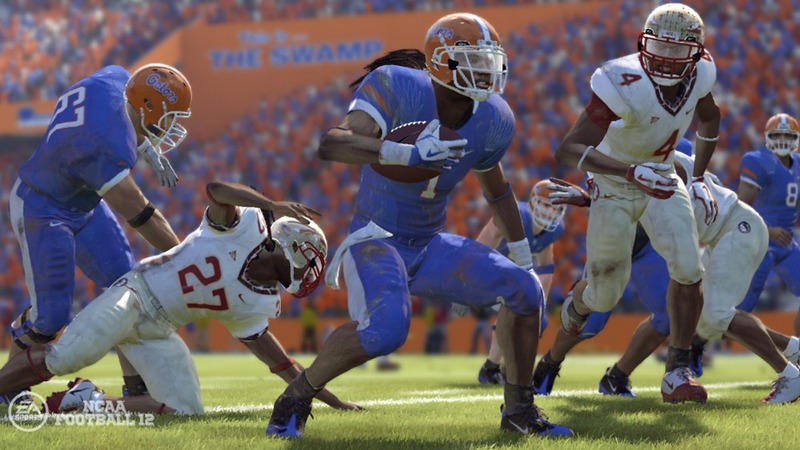 Time will tell if I’m right, or if NCAA 13 proves there’s still life in the old dog yet.